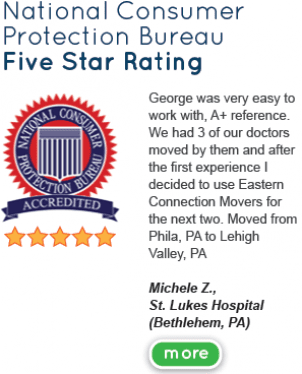 Your Sellersville movers is Eastern Connection Movers are the best professionally trained movers to pack and load then move your home furnishings and office relocation specialists. You can count on and be assured that our experts will meet and exceed all of your requirements to give you the absolute best customer experience. Our service also include crating and piano moving that include high-value items as well. Our company since 1987 has exceeded the industry’s highest standards for excellence. Eastern Connection Movers will be glad to take o any size move from a small apartment move to a large home move whether you are moving next door or across town or even across the country we can safely move your items seamlessly. By calling us we can set up a in home estimate free of charge and then give you the estimate in writing before the move begins. We also provide washer and dryer service as well to add that extra step of a safe move for these items as well. With our movers all of our services are from our in house professionals so there is no need to call any body else other then Eastern Connection Movers. We also have in house specialists that specialize in an assortment of commercial projects as well! Regardless of the size of the move or scope of your office, our Sellersville movers can handle and execute an efficient relocation that will keep you and your employees happy and reduce your down time to a minimum. Employee relocations is one of our expertise as well. Call us today for all of your moving needs and requirements.